In an unexpected move, Microsoft announced early last summer a plan to eliminate support for some versions of Skype in mobile platforms as Windows Phone and Android 4.3, in addition to the desktop platform Mac OS X. Well, since October 24, Microsoft stopped supporting Skype in 85% of smartphones and tablets with Windows Phone, so if you are the owner of a cell phone that is no longer supported -Windows Phone 8, Windows Phone 8.1, and some mobile devices with Windows 10- you can not download and use the Skype application from the Windows Store. The measure could have a dual purpose. On the one hand encourage the purchase of a smartphone or new tablet to use Skype; on the other hand show its new features globally. It is no secret that Skype wanted to enter the battle for the mobile arena and challenge WhatsApp and Facebook Messenger. Microsoft announced in July that it would happen during October, especially for older versions of some operating systems, both desktop and mobile application of Skype. A month later, Microsoft has revised its plans and, while remaining confirmed the end of support for older platforms, the final shutdown was postponed beyond October this year, considering an unspecified date in early 2017. But in anticipation of the end of this support, in late October some features of Skype on certain platforms will no longer be available. 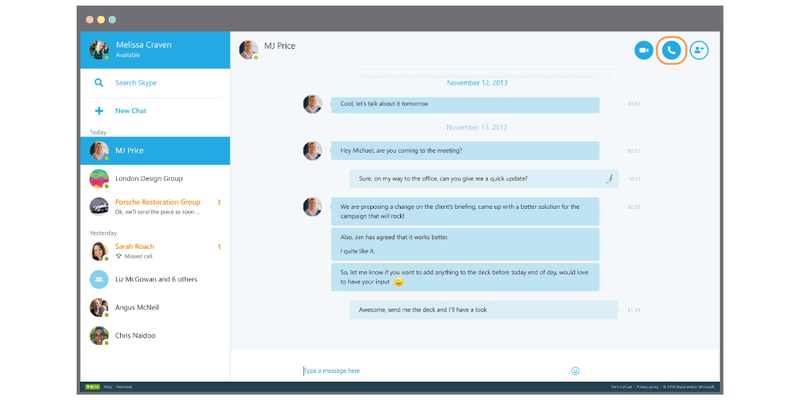 The Skype app has evolved to incorporate new features in recent years, and it is understandable that some of the older versions of these platforms are no longer able to bear them. This has led Microsoft to decide not to provide more support for Skype in many older versions of some platforms, including Android, Windows Phone and OS X. The third platform on which Microsoft will not give more support (you can only use the client Skype 7.0 on MacOS 10.9 (Mavericks) or higher), while MAC with an earlier version of the operating system can only use Skype for Web.